Ah, the opus of my sweet buddy, Danny!! He has never gotten an answer from anyone proving that Smith told the story of the first vision when it happened, or even within a few years. Heavy hitting stuff. Ann, Danny? Does he have a last name and is his research published? Well, I’m not sure if you’re referring to the LdS Church revising the facts about the First Vision or my revision of an earlier work on the First Vision (the CRC article to be specific) on the First Vision, but thank you. And, of course, the REAL thanks needs to go to Sandra Tanner whose original research on the subject was the basis for both the Christian Research & Counsel and the Institute for Religious Research articles and the baseline that I drew from for this revision of the CRC article. If your issue is things were written down many years after the fact and that different versions of events existed then you have to discount the whole New Testament, since all of it was written down and or published decades after the events occurred. Just something to keep in mind. For the record this is one of the weakest compilations against the First Vision I have ever seen. And let’s not even get started about the number of doctrinal inaccuracy it contains, or missing context. It doesn’t even take too careful a reading of the Book of Mormon to see Modalism isn’t taught but it does take more than just lifting select passages out of context that supposedly based upon personal interpretation support your premise, but the text as a whole does not support modalism. Lastly the “revisions” that occurred in 1837, do not demonstrate a change in theology, that is an assumption and your part, but rather a clarification of what the intended message should be. Short version: The issue isn’t the interim, or duration between versions, the issues are: a) The inconsistency and blatant contradictions between First Vision accounts – most especially Smith’s; b) The irrelevancy – or outright absence – of the First Vision in Mormon Theology until much later (around 1880 according to scholars though this wasn’t explicitly stated in article), and; c) The tight correlation between the shifting First Vision accounts and the evolution of Mormon godhead theology. These variables could cause one to easily conclude that the First Vision was a mere contrivance reflective of whatever Mormon doctrinal emphasis was in vogue at any given time in later Mormonism and not an actual, historical event. You’re correct in that the Book of Mormon teaches BOTH modalism AND Trinitarianism. It is self contradictory and at odds with itself in it’s view of God. Never-the-less the Book of Mormon does indeed teach modalism. And Zeezrom saith unto him, Thou sayest there is a true and a living God? And Amulek saith, Yea, there is a true and living God. Now Zeezrom saith, Is there more than one God? And Zeezrom saith again: Who is he that shall come? Is it the Son of God? And he said unto him, Yea…. And Amulek saith unto him, Yea, he is the very Eternal Father of Heaven and of Earth, and all things which in them is; he is the beginning and the end, the first and the last; and he shall come into the world to redeem his people; and he shall take upon him the transgressions of those who believe on his name; and these are they that shall have eternal life, and salvation cometh to none else…. While on earth Jesus does not cease to be God the Father: “I am he that gave the law, and I am he which covenanted with my people Israel” (3 Nephi 15:5). Respectfully Mr. Sargent, this is nonsense. The historical record shows clearly that there were radical changes in Mormon Godhead Doctrine during Joseph Smith’s lifetime and continuing into the early 20th Century where it was settled and finalized by the 1916 “The Father and the Son: A Doctrinal Exposition by the First Presidency and the Quorum of the Twelve Apostles” (see https://www.lds.org/ensign/2002/04/the-father-and-the-son?lang=eng ). 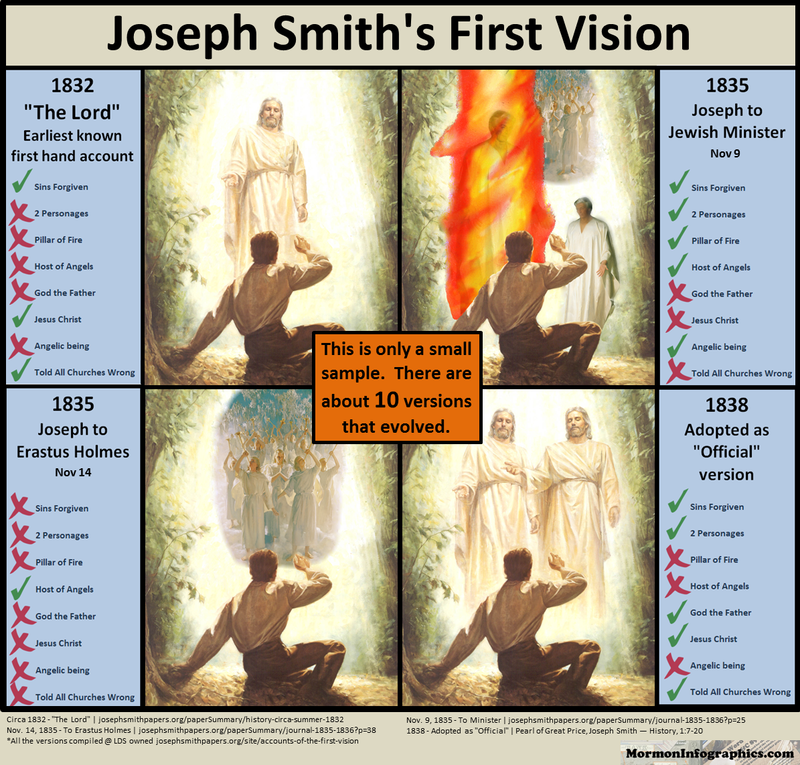 The evolving and conflicting First Vision accounts are just one of many evidences of Smith’s changing view of God (BTW, the changes by Brigham Young that resulted in the need for the 1916 statement are outside the scope of this discussion). Simply put, the First Vision account changed as Smith’s godhead theology did. It would have been almost inconceivable to the earliest Mormon converts that God would have flesh and bones, a characteristic universally associated with mortality and denigrated for its corruption and imperfection. Indeed, as late as 1840, Mormon elder Samuel Bennett argued that “God is a Spirit” with “body and parts . . . however small the tenuity may be.” In an 1840 reply to a Pennsylvania man who accused Mormonism of corporealizing God, Elder Erastus Snow corrected the antagonist stating, “What Mormon, understanding our doctrines, ever said that God the Father had flesh and bones?” Quoting from the Lectures on Faith where God the Father is described as “a personage of spirit, glory and power,” Snow challenged, “Does it necessarily follow that because God is a spirit, possessing universal knowledge, that spirit has no form, shape, or bodily appearance as you would have it?” In the same year (1840) Apostle Parley P. Pratt commented, “Whoever reads our books, or hears us preach, knows that we believe in the Father, Son, and Holy Ghost as one God. That the Son has flesh and bones, and the Father is a spirit. . . . [A] personage of Spirit has its organized formation, its body and parts, its individual identity, its eyes, mouth, ears, &c., and that it is in the image or likeness of the temporal body, although not composed of such gross materials as flesh and bones.” The idea of a human body being created after the image of God the Father’s physical body doesn’t explicitly appear in LDS teachings until 1841 when Joseph began teaching that God the Father has a physical body. 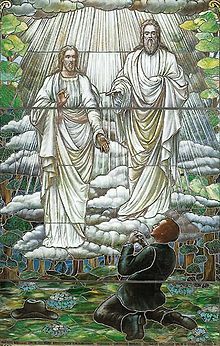 Many Latter-day Saints today assume that Joseph’s First Vision provided ample evidence to early Saints that God is a personage of flesh and bones; the Prophet’s 1832 account, however, related only that he “saw the Lord.” It wasn’t until 1838 that he provided more detail to include the Father and the Son, and even then, there is no indication that Joseph thought of them both as having bodies of flesh and bones. 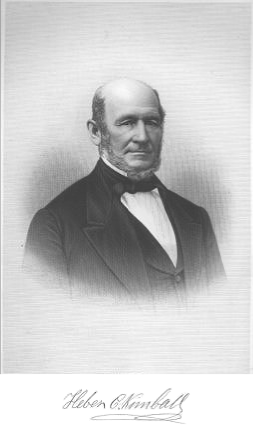 Nauvoo Period “By 1841,” observes LDS historian Richard L. Bushman, Joseph “had moved from a traditional Christian belief in God as pure spirit to a belief in his corporeality.” It appears that the Prophet first ascribed corporeality to God in 1841 when he declared, “That which is without body or parts is nothing. There is no other God in heaven but that God who has flesh and bones.” On April 2, 1843 he reaffirmed, “The Father has a body of flesh and bones as tangible as man’s” (D&C 130:22). This bold new doctrine would fit in nicely with Joseph’s subsequent teachings on God’s progression through mortality and resurrection as well as the human potential to become like God after a physical resurrection. I hope that this helps clarify. And, again, thank you for your comment. Andrew I appreciate your comments concerning CRC’s tract, “A Documented History of Joseph Smith’s First Vision”, which this article is partially based on. As one who is part of the CRC ministry I would like to comment. First, it is true, the gospels, especially the synoptic ones, have some differences, but not contradictions. For example, the order of when an event happened may be different, sometimes one writer added in more detail or a different detail. That does not mean someone corrupted that particular story; it was just added information. That’s what makes the NT reliable. Today, if three witnesses testified about what they saw concerning an accident, they wouldn’t have all described it exactly the same way, but their testimonies would have agreed about the accident as a whole. If they all said the exact same words, in the exact same order, in the exact same way, those witnesses would be suspected of intentionally altering the truth. Second, the epistles were not written decades after the issues these writers addressed, but when the issues were happening; however, the gospels were. It does not matter that gospels were written later, because the eye witnesses of those events took action to record them AFTER the fact so that the first and second generation of believers who did not see Christ would know what He did. This is different than what happened in the earliest years of Mormon history. The early leaders of your church recorded things AS they happened which the volumes of your church history verify. That is why it is such a glaring inconsistency. Why was the most important event not recorded from the start, like how the church became a formal church at the Peter Whitmer farm was? And, why a few years later, was there a huge discrepancy of who actually visited Joseph? Was it angel(s), the Father? Jesus? the Father and Jesus? Those are major, significant contractions. You then point out a small portion of this lengthy article concerning the Book of Mormon teaching Modalism, something that is relevant to this article, but is not the main theme of the article, IMO, a rabbit trail. Contrary to your viewpoint, the Book of Mormon does describe God as being Modalistic. Another example of this is Mosiah 15:1-4. It describes the Father and the Son as the same being—the same person (vv. 2-3) with the same flesh as well as the same God (v. 4). That is not lifting certain verses out of context. That is what that passage teaches. Finally, if you are going to state that these are ”weak compilations” concerning the first vision, then I (we) challenge you to please, tell us exactly what is weak, and why it’s weak, with references, for your sake and ours. In her classic work, “The Politics of American Religious Identity: The Seating of Senator Reed Smoot, Mormon Apostle”, Latter-day Saint scholar Kathleen Flake explains how the First Vision transitioned from being a secondary narrative in 19th Century Mormonism to it’s master narrative in the early 20th Century. The first excerpt provides historical context for the shift, the second explains how, when and why the shift occurred at all. Notions of restored truth, authority, and order, based in models both of Old Testament prophecy and New Testament apostolic witness, constitute the creative material out of which the L.D.S. Church has adapted itself over time. Moreover, they define the outside limit of what may be changed. They comprise both the boundary and content of Latter-day Saint identity in a sense of separateness from non-Mormons and sameness of being Mormon. Everything else is relatively fungible, making the church extraordinarily adaptable and identifiable at the same time. Indeed, Joseph F. Smith’s efforts to adapt the church to the Progressive Era’s demand for change demonstrate clearly that the ideals of revealed knowledge and restored authority constitute the creative and untouchable core of Latter-day Saint belief and identity. “Many factors contributed to the relative lack of interest in the First Vision by believers and nonbelievers. Most have been identified by Latter-day day Saint scholars in a variety of articles attempting to validate the historicity of the event or its relationship to developments in Latter-day Saint doctrine. Though these studies disagree on the theological implications of the First Vision, what matters for our purposes is that all agree, in the words of James Allen, author of the most extensive study, that “the weight of evidence would suggest that it [the First Vision] was not a matter of common knowledge, even among church members, in the earliest years of Mormon History.” Allen further concludes that this oversight continued until 1883 when the First Vision was first employed to teach the Latter-day Saint doctrine of deity. Even here, however, Allen can only characterize the 1883 sermon as having “implied” that a major purpose of the vision was to “restore a true knowledge of God.” While appreciation for Smith’s First Vision continued to grow in the last decade of the nineteenth century, not until the early twentieth century did it move to the fore of Latter-day Saint self-representation. As Allen’s research makes apparent, the turning point in the status of the First Vision occurred during the administration of Joseph F. Smith and was contemporaneous with the Smoot hearing and its immediate aftermath. The story was first used in Sunday school texts in 1905, in priesthood instructional manuals in 1909, as a separate missionary tract in 1910, and in histories of the church in 1912. Moreover, the Smith family farm in Palmyra, New York, was purchased by church members in 1907 and passed into church ownership in 1916. A grove of trees on the site where the young prophet is assumed to have received his First Vision became an increasingly popular pilgrimage site, culminating in centennial celebrations in 1920. 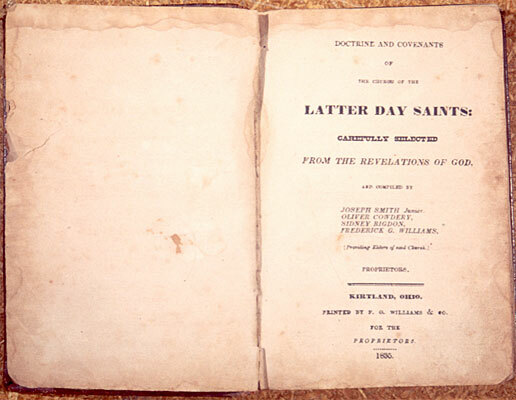 By midcentury, Smith’s account of his theophany was denominated “The Joseph Smith Story.” Eventually it would be granted the status of “the beginning point, the fountainhead, of the restoration of the gospel in this dispensation.” In the First Vision, Joseph F. Smith had found a marker of Latter-day Saint identity whose pedigree was as great as-and would be made greater than-that of plural marriage for the twentieth-century Latter-day Saints. The First Vision contained the elements necessary to fill the historical, scriptural, and theological void left by the abandonment of plural marriage. To the extent that plural marriage had captured the Latter-day Saints’ loyalties as Smith’s last revelation, the First Vision, as its referent indicates, was equally appealing. It also, like polygamy, was both a historical torical event and an idea that could be characterized as attracting persecution. Nineteenth-century Latter-day Saints had not endeared themselves to their neighbors by claiming to be the only true church in a religiously plural society. Moreover, though it was not of as much note as the Book of Mormon or other doctrines, the Latter-day Saints’ rejection of Trinitarianism appears to have been a source of some antagonism. Joseph Smith’s mother remembered several confrontations with representatives of evangelical Protestantism over her son’s claims to revelation, noting “the Methodists also come, and they rage, for they worship a God without body or parts, and they know that our faith comes in contact with this principle. Whether the Methodists knew this from accounts of Smith’s theophany did not matter to the twentieth-century Latter-day Saints. They believed it to be so. 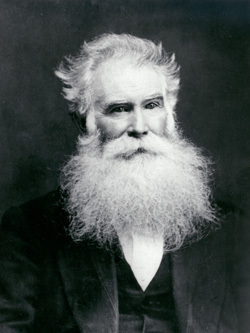 Joseph F. Smith made the connection explicit between the vision and persecution, “The greatest crime that Joseph Smith was guilty of was the crime of confessing … that he saw those Heavenly Beings…. That is the worst crime he committed, and the world has held it against him…. He suffered persecution all the days of his life on earth because he declared it was true.” From here it was a small step to finding in the First Vision a source of the Latter-day Saints’ continuing identity with their forebears. In 1909, still feeling the aftershocks of the Smoot hearing, Joseph F. told the Latter-day Saints, “From the day that the Prophet Joseph Smith first declared his vision until now, the enemy of all righteousness … the enemy to direct revelation from God and to the inspirations that come from the heavens to man has been arrayed against this work.” New emphasis on the First Vision maintained a sense of religious difference and, as such, provided the equally necessary sense of internal cohesiveness and historical continuity in terms of persecution. Significantly, however, the First Vision changed the arena of confrontation over differences from social action to theological belief, a necessity created not only by the experience of persecution but by Supreme Court law. In Reynolds v. U.S., the Court made clear that the Constitution protected only differences in religious thought, not religiously motivated actions that compete with social mores. New emphasis on the First Vision successfully refrained the Latter-day Saints’ necessary sense of otherness to fit safely within the politics of American religion. Jan Shipps, however, rightly warns students of Mormonism that “when Mormon history begins with the First Vision, the result tends to be an account of a religious movement which, even as it differs dramatically on basic theological and doctrinal nal issues from other sects and churches, is analytically yet one more subdivision division of Christianity inaugurated through the efforts of a charismatic leader.” As we shall see in Chapter 6, this is exactly what the Senate panel was asking the church to become. 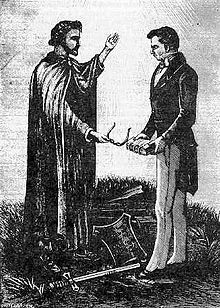 For now, it is sufficient to note that unlike Joseph Smith’s last vision, his first one placed his followers at odds only with other churches, not the state, and shifted the battle from issues of public morality to theological tenets.